2007 marked a full decade of writing professionally, and it also marked my return to writing full-time about Broadband Wireless Internet Access (BWIA), WiMAX, Wi-Fi, and other wireless-related subjects. Under Stroh Publications LLC, I will be writing articles for a portfolio of columns/blogs as well as writing freelance articles and consulting on Broadband Wireless Internet Access. Stroh Publications LLC news weblogs and reference web sites are listed on the sidebar. Independent technology writer Steve Stroh again provided his unique blend of comprehensive and informative insights in his newsletter Focus On Broadband Wireless Internet Access. The newsletter continues to provide personal interpretations on industry developments that are worth knowing, and supporting. FOCUS, and more specifically Steve Stroh "is the voice of the industry" to the world market when any discussions of Wireless Technologies pop up. His foresight and visions are considered to be the most accurate on the planet. 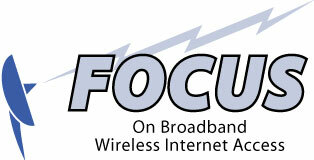 Steve Stroh is the perpetrator of the "Focus on Broadband Wireless Internet Access" newsletter, an in-depth review that gets it. The subscription fee is worth every penny. Steve Stroh is a walking encyclopedia of fixed wireless information. His knowledge on the subject is both extremely wide and deep. When I am looking for a source that can quickly cut through the marketing hype and technical mumbo jumbo that permeates the market, he is my first choice. To the increasingly large group of people who talk sense about broadband wireless services, I have to add Steve Stroh. His subscription publication is full of sensible advice born of deep technical and market knowledge. Anyone trying to make a living, start a company, or run a division in which this is your market shouldn't hesitate before subscribing. Steve Stroh is *the* most knowledgeable writer about emerging Wireless issues, and is far ahead of the journalistic curve on the growing role of License Exempt businesses, from manufacturers, and Wireless ISPs, to emerging efforts to form national companies aggregating local 802.11b hot spots. Clued-in is Steve Stroh, whose understanding of the technical issues involving wireless broadband is first- rate and fine-grained. My first professional writing relevant to BWIA was for the Packet Status Register (PSR) from an organization called TAPR that helped develop Packet Radio Communications in Amateur ("Ham") Radio. The article was One Person's View of DCC '96 Seattle, published in October, 1996. In that article I discussed my first exposure to Spread Spectrum Communications applied to radio communications and subsequent enthusiasm for its application to Amateur Radio. The basic knowledge in radio communications I gained from Amateur Packet Radio, and the early exposure to Spread Spectrum Communications was the basis for my understanding of the potential of Broadband Wireless Internet Access. While I became a member of the Board of Directors of TAPR, my participation in Amateur Radio as N8GNJ has suffered since beginning my writing career, which I hope to rectify beginning in 2006. I began writing about BWIA part-time in 1997 when I wrote to Jack Rickard, the "Editor Rotundus" of Boardwatch Magazine that "you ought to have a column about this fantastic new wireless Internet technology that's starting to come out". Several weeks later I received a call from a Boardwatch Editor informing me that "your wireless column is due next week." My column, Wireless Data Developments began in April 1997 and lasted for nearly five years. Boardwatch Magazine lasted less than a year after discontinuing Wireless Data Developments (I'm told there was no direct linkage between the two events), and now lives on in fond personal memories and Internet Archive / WaybackMachine - not even the domain name has survived. In those five years, BWIA and my writing evolved considerably. In 1997, my role was explaining why Internet Service Providers (ISPs) should be considering using BWIA to connect to their customers. By 2000, I had transitioned to writing about BWIA full time and my role had changed to explaining how ISPs should be using BWIA, and explaining BWIA to new audiences - I had more than convinced Boardwatch readers that BWIA was a viable last-mile alternative to wireline. It's been gratifying over the years to have people tell me that Wireless Data Developments was the first inkling of what was possible with BWIA, and that that knowledge helped their ISP to evolve and survive. The emergence of a very vibrant Broadband Wireless Internet Access industry - staggering in size and scope, from small "Mom and Pop" Wireless Internet Service Providers (WISPs) to very large Broadband Wireless Service Providers. It was particularly gratifying to have predicted, and then seen come to pass the evolution of WISPs offering only best-effort Internet to being able to offer reliable telephony services. I predicted WISPs would become the new telecommunications providers; little did I know how true that would become. The initial promise of the US 1996 Telecommunications Reform Act with its promise of reasonable "sharing" of last mile wireline at the time that the general public began to get access to the Internet... to the final gutting of the sharing provisions (Unbundled Network Elements - UNEs) of the 1996 TRA, leaving BWIA as the only viable last-mile technology available for independent ISPs to connect to their customers. The gestation, emergence, and dominance of 802.11/b/a/g/n (and beyond), now much better known as Wi-Fi. Wi-Fi was originally intended purely for Wireless Local Area Networks (WLANs). One of the more amazing things I watched happen with Wi-Fi was that it was ingeniously adapted for outdoor use against all prognostications that Wi-Fi was for indoor use only. The gestation, emergence, and dominance of 802.16-2004 and 802.16.2005 now much better known as "Fixed" WiMAX and Mobile WiMAX respectively. It's simultaneously amusing and alarming that the vast majority of journalists, analysts, and other "WiMAX Experts" have only a dim knowledge that there was a Broadband Wireless Internet Access industry prior to the emergence of WiMAX. As WiMAX began to emerge, it was mercilessly overhyped (70 Mbps! 50 miles! Built Into Laptops!). When I and a few brave others tried to tell the truth about what WiMAX really was (a lowest-common denominator of BWIA technologies that the vendors could agree upon in a standard and interoperability certification)... we were punished in the industry by being shunned, writing work dried up, and very few listened. The emergence of large "mainstream" BWIA Service Providers such as Unwired Australia, Clearwire, Towerstream, and "kind of 3G" services like BroadbandAccess. The birth, brief life, and death of so many BWIA equipment vendors and Service Providers! My (paper) files absolutely bulge with fascinating information on once-promising vendors like BeamReach, Malibu Networks, Raze Technologies... and equally-promising Service Providers like 4G Network Technologies, Metricom (Ricochet), Monet Mobile Wireless... and so, so many others! This incredibly rapid evolution has been one of the most fascinating aspects of the BWIA industry - talk about Darwinian Evolution! The emergence of Wi-Fi HotSpots and how they rapidly morphed into Wi-Fi HotZones, now known better as "Municipal Wi-Fi Networks. To me, Wi-Fi HotSpots was an absolutely logical progression of Wireless LANs (I had followed it back when MobileStar was placing Proxim RangeLAN access points in Starbucks stores). Vindication on some of my predictions - the rise in dominance of the license-exempt model of spectrum allocation; the incredible utility of dynamic wireless mesh network topology. "New" BWIA technologies that I've been tracking for years - OFDM, UWB, MIMO, NLOS, DSP, VOIP, SDR, and many more. The amazing response of BWIA service providers in the wake of Hurricane Katrina and the resulting large scale disaster on the US Gulf Coast in re-establishing communcations far in advance of what "the big guys" could do or could go. So, I understand Om and Esme completely when they say what they do is all about passion, not about money. I've written (passionately, always, sometimes too much so) for money (and much wider readership than this humble blog) but now those "money" operations - publications, web sites, companies, and many, many good people are long gone from the industry. But I'm still here, writing about BWIA, saying things that I think need to be said - not merely "following the money" and saying what will attract money. Broadband Properties Magazine (formerly Private and Wireless Broadband Magazine) - Feature articles. Broadband Wireless Business Magazine - I wrote a number of feature articles and briefly, a column. Broadband Wireless Exchange - Feature articles. CLEC Magazine - Column; no longer in publication. Cook Report On Internet - I contributed considerable material to wide-ranging report on Broadband Wireless. CQ Amateur Radio Magazine - Column on Amateur Packet Radio. Corante - Weblog / column. Fail Fast Letter ("Let 'em Fail Fast Mr. Chairman, an open letter to FCC Chairman Michael Powell) - Signatory. FOCUS On Broadband Wireless Internet Access - Editor of private circulation newsletter on Broadband Wireless Internet Access. In 2006, it will evolve into a occasionally-published, public-circulation newsletter. IEEE Spectrum Magazine - Feature articles. ISPCON Conference - Offered a keynote slot, which I converted into a panel discussion. ISP Planet - Feature articles. Mobile Radio Technology Magazine - Feature articles. PART-15.ORG - Not a member, but I contribute what I can as needed. PART-15.ORG WiSPers Newsletter - Feature articles. TAPR Packet Status Register (PSR) - Feature articles. Wi-Fi Planet Conference (formerly 802.11 Planet Conference) - Panel Speaker (the conference has been discontinued). Wireless Communications Association International - Not a member, but I contribute what I can as needed. Wireless Communications Association International (WCAI) Conferences - Panel speaker. Wireless Internet Service Provider's Association (WISPA) - Not a member, but I contribute what I can as needed. Wireless Internet Service Providers Network Operator's Group (WIÂ·NOG) Conference - Panel speaker. WISPCON Conference - Keynote and Panel speaker.